​Optimum Green Chemist-Consultants Co. was first founded in Toronto, Ontario, Canada, by Dr. Paul Gouda, and Dr. Emad Saleeb. The operation expanded to include company Chemist-Reps in Canada and USA; working together on assigned projects under the chairmanship of Dr. Paul Gouda, C.Chem., MRD., Ph.D. The technical council of OGL consists of doctors of chemistry and medicine who published several medical journals, SOPs, and research papers in several disciplines including environmental and analytical chemistry, pharmacology and medical research; and contributed to the development of several OGL health supplements and food products. Chemist-Members: Access the latest MJs & CRPs via the links posted below. at his lab office at EPL, during a media release event. Dr. Paul Gouda at Barringer Research, investigating an ion-release approach using a newly presented TISAB formula. 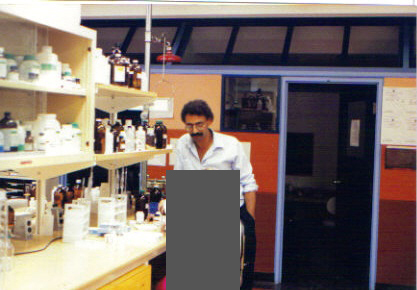 Dr. Paul Gouda at Engle Hard Refinery Laboratory running an ICP verification. Dr. Gouda produced a paper on Inductively Couple Plasma VS Atomic Absorption comparative Spectroscopy techniques. Dr. Anthony Leigh, Dr. James Townsend, and Dr. Dan Martins. 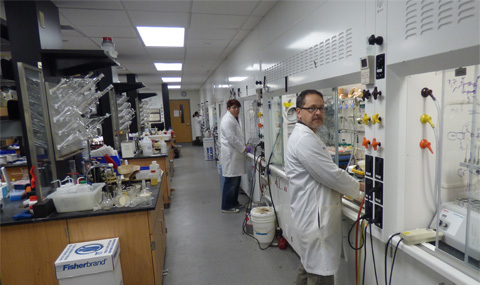 Our analytical laboratories in Coquitlam, BC and Seattle, WA, enjoy state-of-the-art-instrumentation, and a complete bench-wet chemistry apparatus setup and methodology. 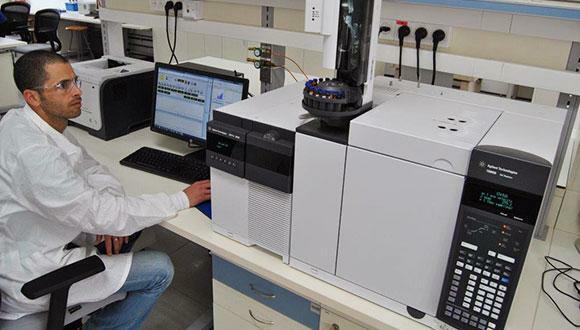 * Analytical services, including ultra-trace analysis at the ppm, ppb and ppt levels. 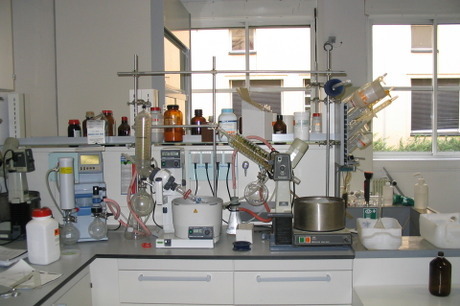 Our analysis include both organic and inorganic samples; and utilizes state-of-the-art instrumentation - e.g. elite models of ICP, AAS, GC... etc. as well as any required bench methodology. * Producing control samples / standards / QC-AC / matrix-match blanks, and spiked QCs; and other reference material. * Court cases expert-witness service, and dispute cases arbitration sample analysis, with detailed technical reports and legal presentations. * Consultations is the fields of analytical chemistry, health & safety, environmental issues, refinery trouble-shooting, industrial waste treatments, pharmaceutical and medical research, and lab set-up including methodology. 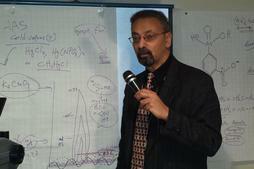 * Instructing and speaking at training seminars and other technical symposiums. * Consultations in several medical research areas, including mammal gender selection both human and animal pregnancies. * Research & Development in the fields of food products development and supplementary health products. * Producing manuals and SOPs. More about our team and what we can offer your operation? Click here. 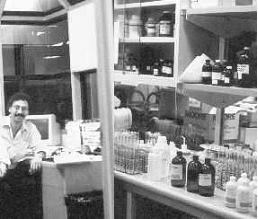 Above, Dr. Gouda at his EPA lab in Mississauga, Ont. and published research papers by clinical pharmacology chemists: Click here. Members: Access the latest research papers by analytical / pharma / clinical pharmacology chemists: Click here.